Clinanthus is a member of the Amaryllidaceae family. In 2000, Alan Meerow et al. 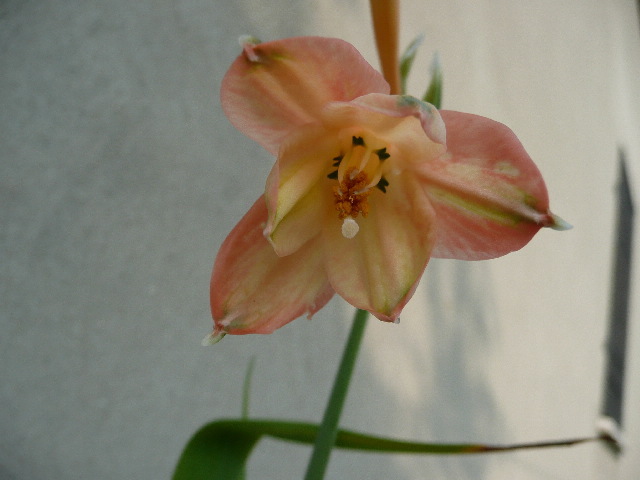 published a paper entitled "Phylogeny of the American Amaryllidaceae based on nrDNA ITS sequences", in Systematic Botany 25 (4) pp708-726. Amongst other findings, it recognised that what had previously been known as the Stenomesseae Tribe consisted of two separate groups supported by strong molecular evidence. One of these groups, with petiolate (stalked) leaves is, in fact, more closely related to the Eucharideae (the genera Eucrosia, Urceolina, Eucharis, Rauhia and Phaedranassa). 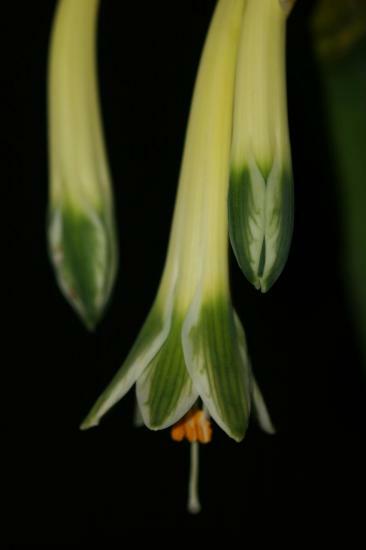 The other, with lorate (strap-shaped) leaves, forms a sister group to another Tribe, the Hymenocallideae (the genera Hymenocallis, Ismene and Leptochiton). 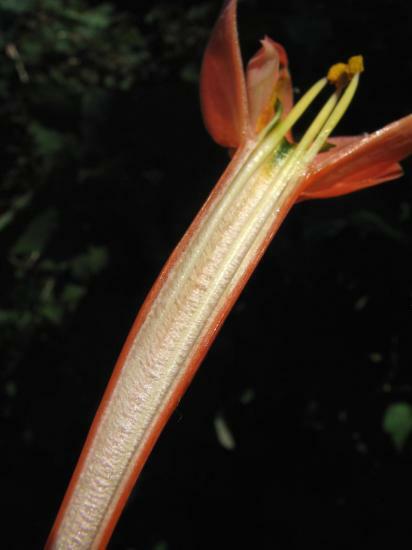 They proposed that this strap-shaped leaf group be transferred into a new tribe, Clinantheae and resurrected the genus Clinanthus Herbert (1821), within this tribe. Note by David Victor. 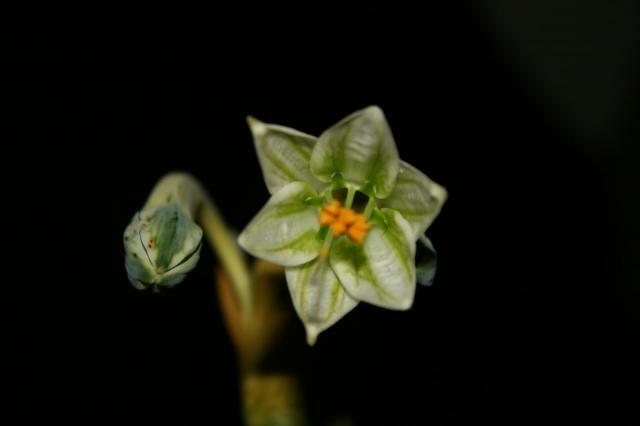 Therefore, based on the new taxonomic changes, the genus Clinanthus can be separated from Stenomesson based on their strap-shaped leaves and certain other characters. Clinanthus coccineus (syn. 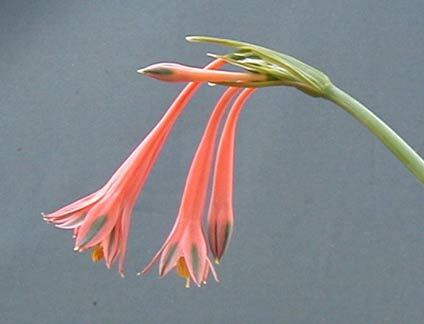 Stenomesson coccineum) is a species endemic to Peru. Its distribution ranges from 200 m. to 2200 m., in the region of Lima. 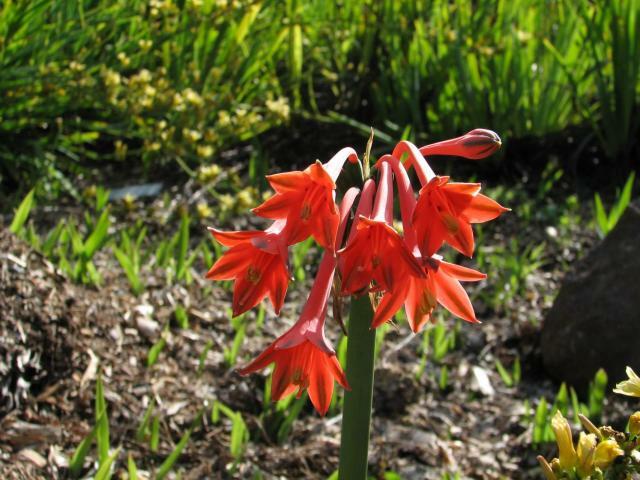 In the coast, they flower in between august and october (winter time) when the soil becomes moist and in the summer they remain dormant since there is no humidity. Altough the species is very similar to Clinanthus microstephium, the distribution of C. microstephium is limited to the north of Peru. 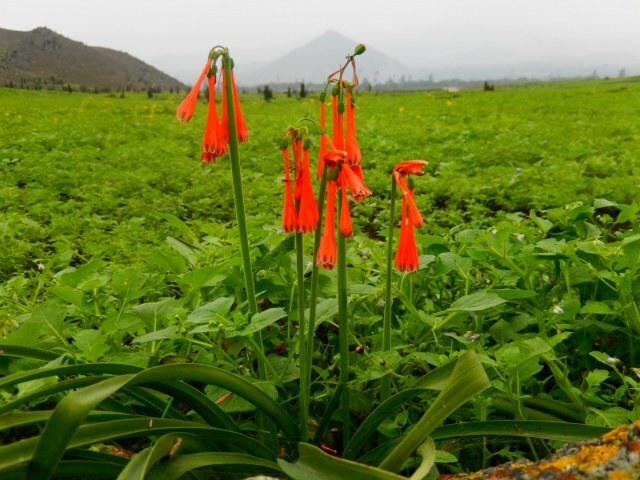 Pictures were taken in the coastal hills of Huaral-Lima. Photos by Norton Cuba Melly. Clinanthus incarnatus (syn. 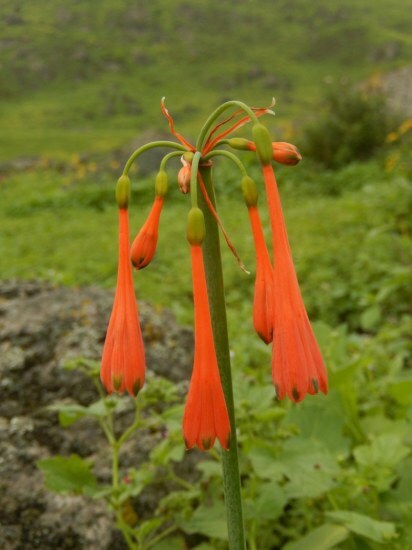 Stenomesson incarnatum (Kunth) Baker 1871) is native to the Andes from Ecuador to Peru. 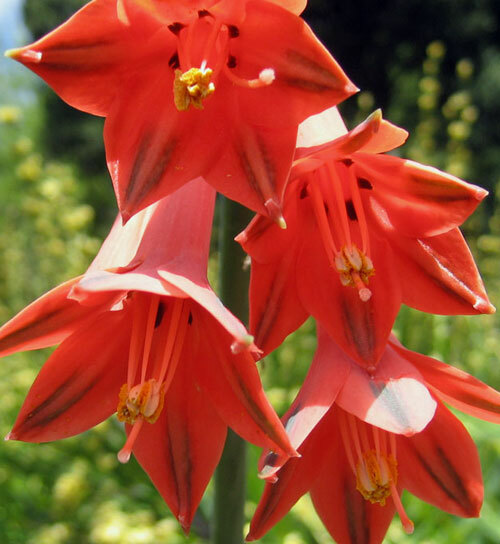 They grow at rather high altitude in poor, rocky soil. 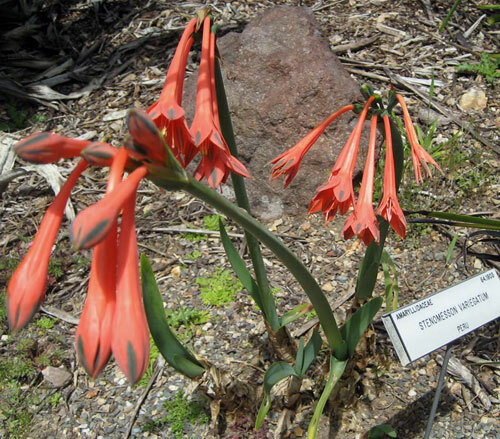 This species has flowers of various colours, varying from reds to pale yellow, and has tubular flowers with more or less green tips. The individual flowers are around 3" long and are in an umbel of four or so. 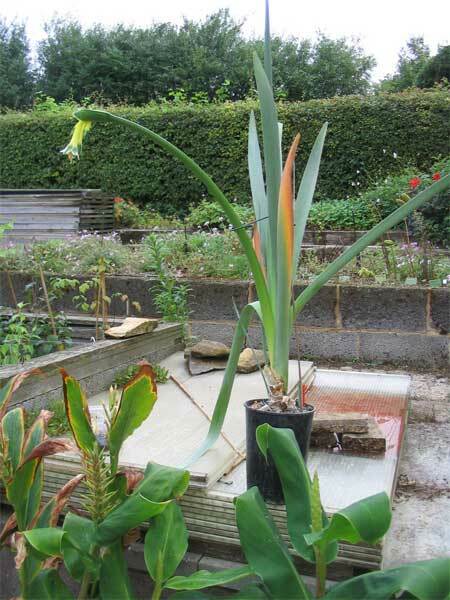 The plant stands at about 30" (75 cm) tall, with grey-green strap shaped leaves. The species is often mistaken with C. variegatus which has a larger stanimal cup. The teeth of the staminal cup in this species measures less than 5 mm in length. Grow this species in a well-draining mix. 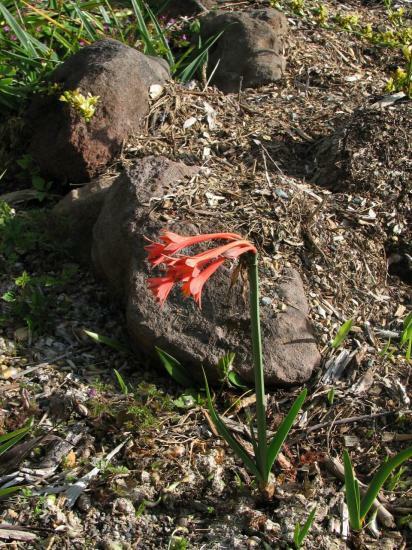 Doug Westfall grows this species in sandy soil with some decomposed granite. Perlite/pumice and organic potting soil also works well. It appreciates fertilization during the active growth season in summer. In winter leaves may be semi- or fully deciduous. 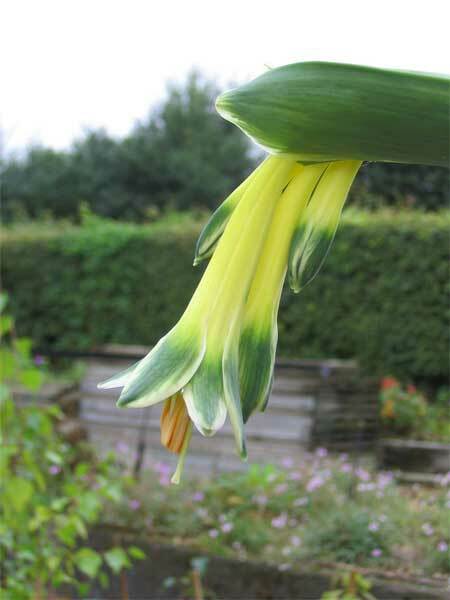 Keep the medium somewhat moist but not bone dry and protect the bulbs from frost. 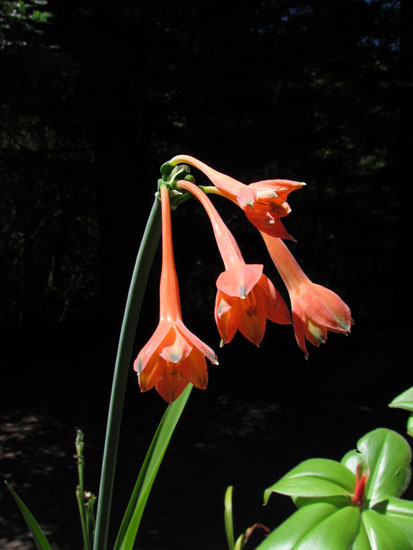 This form grows well outdoors in coastal northern California although it probably appreciate a little bit more warmth during the growing season. 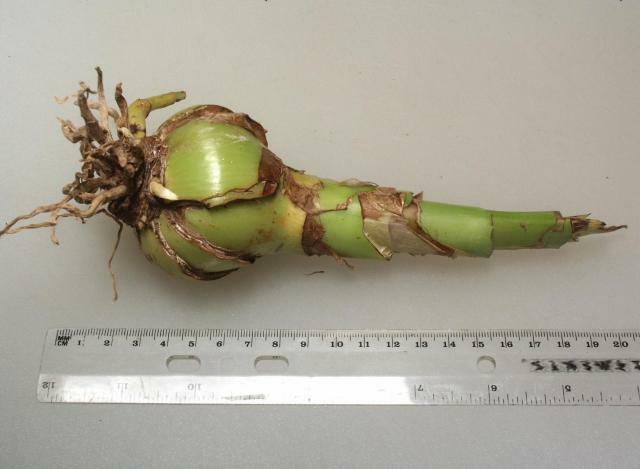 Jacob Uluwehi Knecht found that C. incarnatus will not bloom in tropical lowland conditions (Honolulu, Hawai'i) requiring cooler nights (at least below 13 °C [~55°F] in winter) for bulbs to bulk-up and bloom. C. incarnatus prefers brighter light than C. variegatus and will tolerate full sun in Berkeley, California. Some colour forms of C. incarnatus such as the yellow-flowered form seem less tolerant than others of rain during cool wet California winters. Photo 1 was taken by Doug Westfall who says that it is not too fussy about climate in southern CA, but will not tolerate much frost. Photo 2 was taken by Jacob Uluwehi Knecht of a red form showing the very vigorous roots. 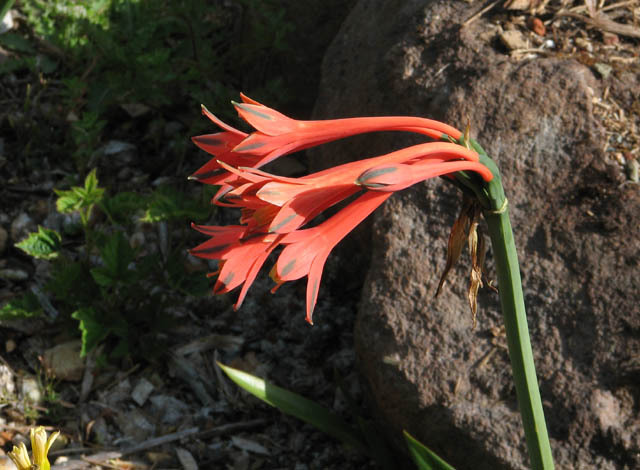 The photos below shows an orange-red form from the UC Botanical Garden, Berkeley, California. Photos 1-2 were taken in early May 2007, by Max Withers. Photos 3-5 were taken by Nhu Nguyen about the same time a year later. 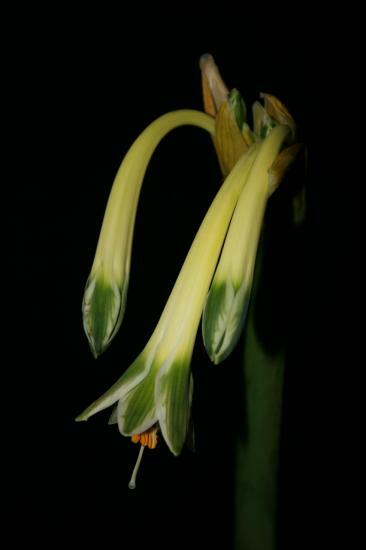 The photos below shows a yellow form of the species. This form is often sold as Stenomesson variegatum or Clinanthus variegatus but its true identity is C. incarnatus. 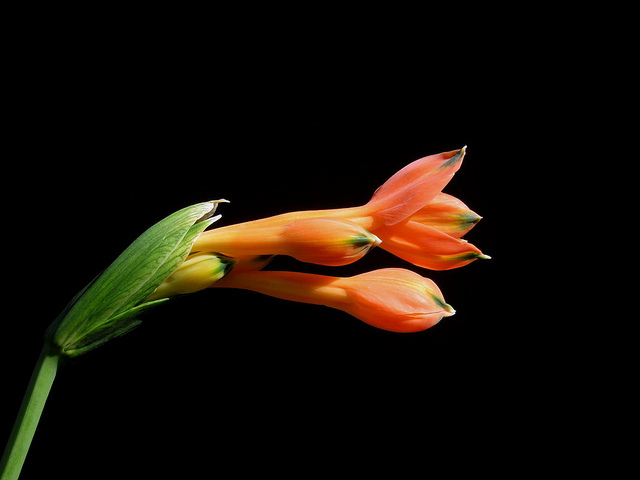 The yellow form has more glaucous leaves than those of the red-flowered forms of the species. Photos 1-2 were taken by David Victor in his cold greenhouse in September 2005. Photos 3-5 were taken by Nhu Nguyen. 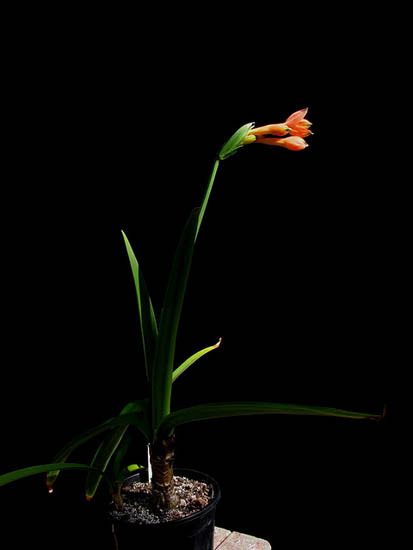 Photo 6 by Jacob Uluwehi Knecht shows a smaller sized bulb. Clinanthus variegatus (syn. Stenomesson variegatum) is native to Peru. 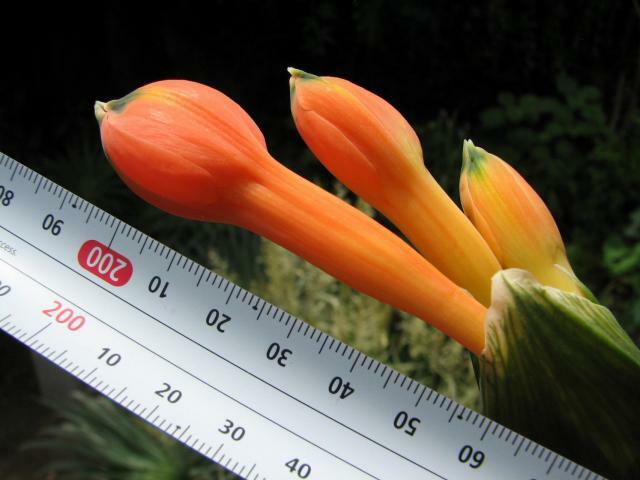 This species ranks amongst the largest of the bulbous plants in the world. There has been great confusion between this species and C. incarnatus which has a smaller staminal cup. This species has a staminal cup measures more than 5 mm in height, but usually more than 10 mm. 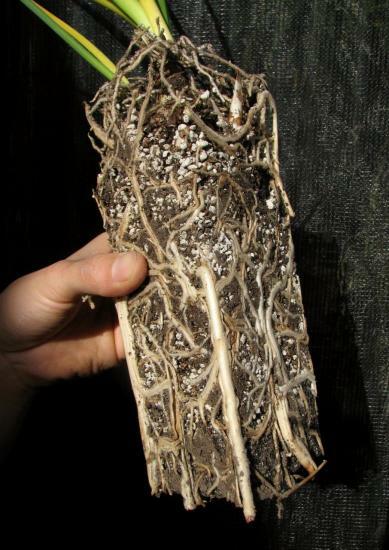 Grow this species in a well drained medium with good organic matter. 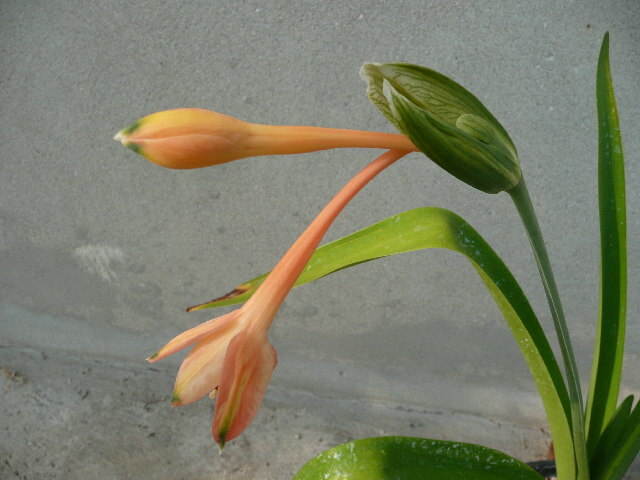 It appreciates more warmth than C. incarnatus and will grow and bloom well in lowland tropics (such as Honolulu, Hawaii). Year-round outdoor cultivation is possible in frost-free parts of California, so long as it is protected from excessive winter rain and given part shade. Water need not be reduced in winter to induce blooming, however watering should be reduced when temperatures dip below 13 °C [~55°F] to prevent fungal damage to roots and leaves. 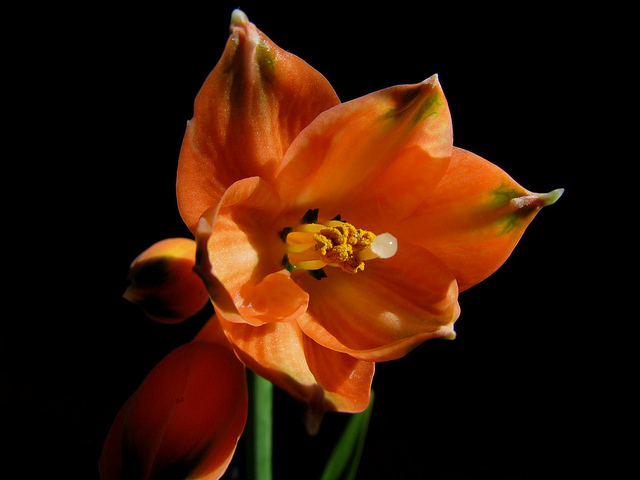 Intensity of natural light greatly effects the colour saturation of this species' blooms (flowers that develop in glasshouses, indoors, etc. usually are pale in colour). 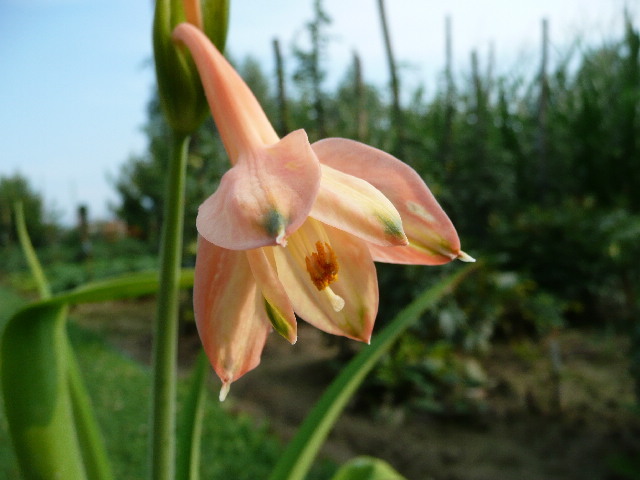 The photos below were taken by Alessandro Marinello of a light peachy-pink form. 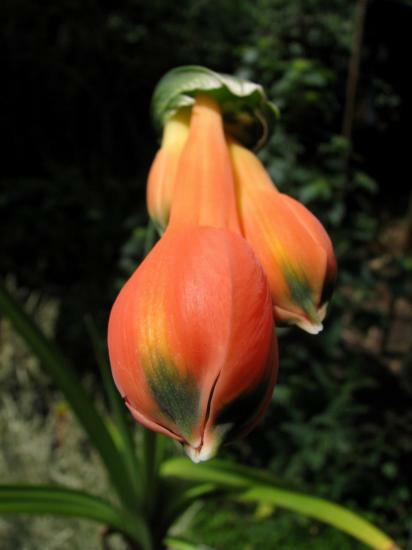 Photos 1-4 were taken by Nhu Nguyen of an 'Apricot' form by Telos Rare Bulbs. 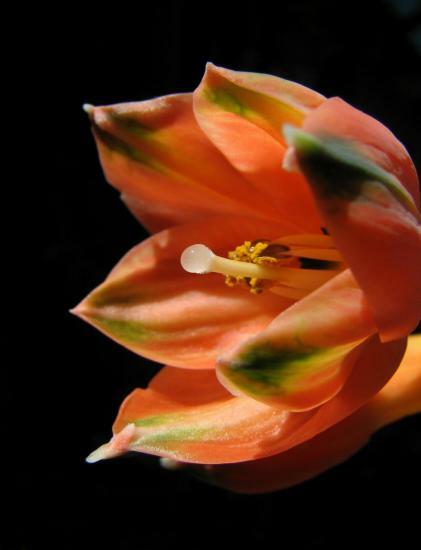 It is aptly named with thick, succulent, and translucent quality to the flowers. 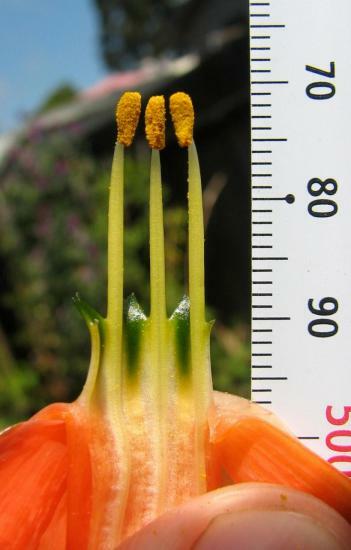 Flower color can also change upon growing conditions. In too much moisture and low sunlight, the color will not be as saturated. Photo 5-6 were taken by Jacob Uluwehi Knecht. 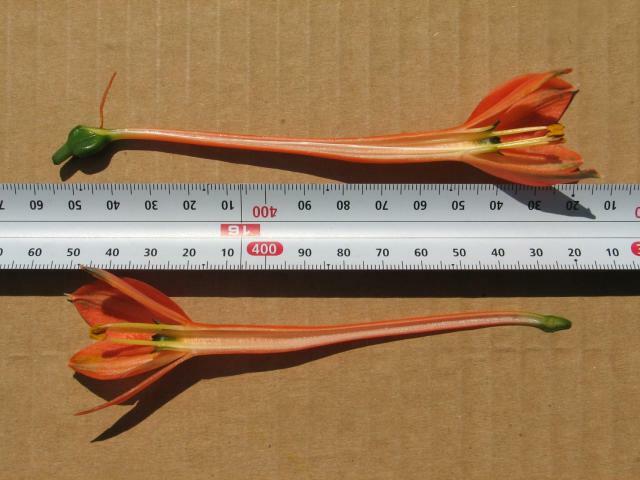 The photos below taken by Jacob Uluwehi Knecht shows various morphological structures and measurements of the 'Apricot' form of this species. 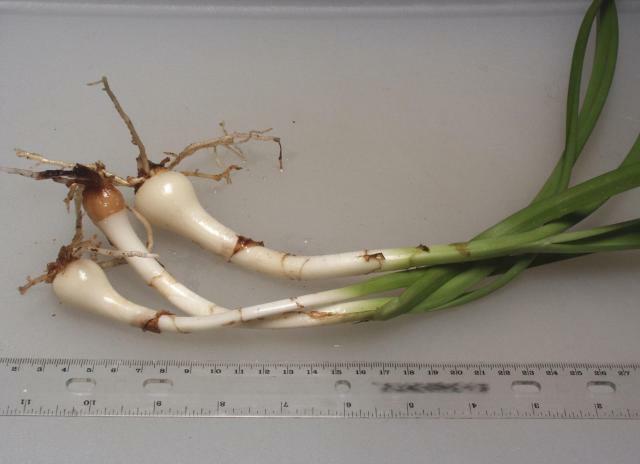 It should be noted that the photo the bare-root bulbs depict young offsets; mature blooming-size bulbs are much larger.